It is autumn, the season of “Mists and mellow fruitfulness” according to Keats. I am not sure about that. We have had a week of record rain, the creek is a consistent torrent, the frogs are a raucous chorus and no work has been done. This is partly due to the rain and partly due to me cutting my wrist on a piece of steel and getting 6 stitches. Hopefully Sister Bell is at work next Wednesday to take them out. So when you can’t work you shop. On Saturday we got a heap of iron bark sleepers for building garden beds and today DOD (Dear Old Dad) and I were dropping them off at the farm when the trusty Land Rover found a wet weather spring and disappeared up to the axels with 2 ton of sleepers in the trailer, just as if I had driven into a hole. 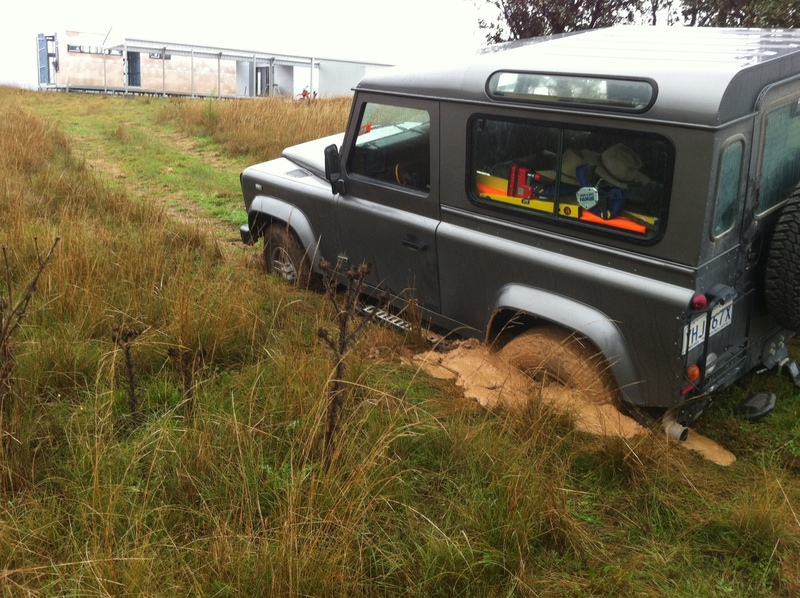 I thought I had broken something as the Landy just dropped and stopped. Donna Stevo came and rescued us and we returned with DODs Land Rover to pull mine out. But no luck. I tried letting tyres down but again no luck. Dug around the wheels and put sleepers under the wheels but the holes just filled with water bubbling up from under ground. So it is out to Stans tomorrow to get the high rise jack and see what we can do tomorrow. Now for a rum. 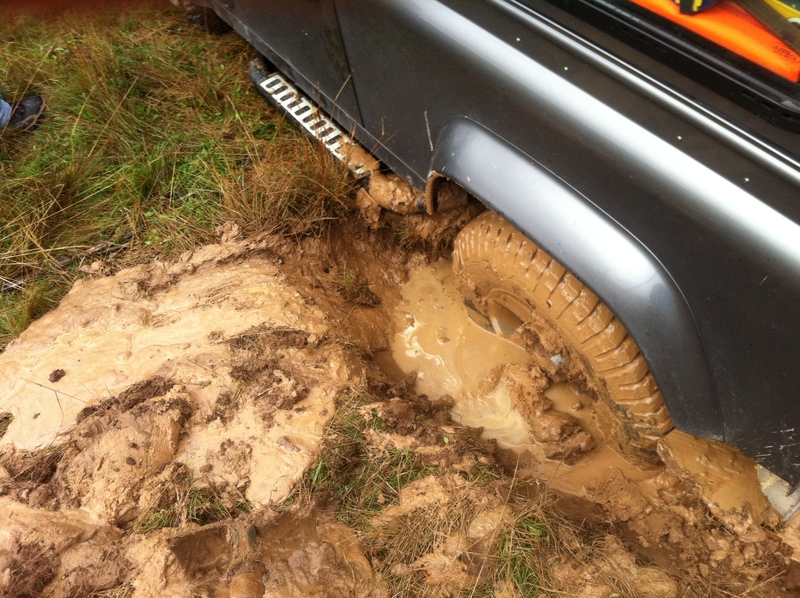 This entry was posted in Farm and tagged Land Rover. Bookmark the permalink.